Today we finish our discussion on Faith and Work as we discuss how to be intentional with our faith. The phrase, “Preach the gospel, if necessary use word,” has been falsely attributed to St. Francis. Here’s the problem, “Faith comes by hearing and hearing by the word of God.” In our respective workplaces our gospel action must be accompanied with gospel words for true conversion to take place. 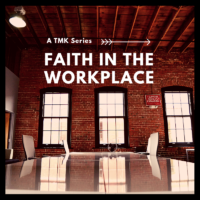 Join us in the conversation today as we discuss how the gospel can be and should be shared with our coworkers, bosses, and clients. Pray with us that God would send out laborers into the harvest field work places around the world.